Amazon is one of the booming ecommerce marketplaces in the world. Nowadays, both buyers and sellers are highly interested in this company as it has created a great opportunity for them. In other words, Amazon has created the most comfortable platform for people living in this modern era. It is the most lucrative platform for small business owners who want to sell their products online. For this reason, many small business owners intend to sell their desired products. And when they think of selling, they are afraid of how to list a new product on Amazon. By the way, if you have a passion for selling products on Amazon, this kind of problems can never hamper your goal. 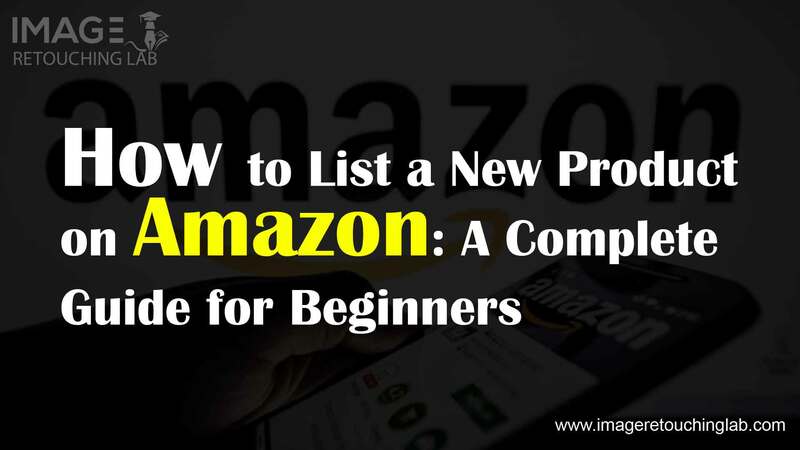 To help out new sellers like you, we have come up with a complete guide on how to list a product on Amazon. It is a step-by-step guide, so there will be no questions in your mind after reading this article. In fact, you won’t have to run after amazon listing service providers after reading the article. To sell your products on Amazon, the first thing you need to do is to create a seller account. There are three different categories of sellers on the website. The categories include Amazon Individual Seller, Amazon Pro Seller, and Amazon Vendor. This plan is for those who own small businesses. If your business falls into this category, then it is the best plan to sell your products. The plan usually permits you to sell 40 items per month. Each sale under this plan will cost you just $0.99. Other transaction fees may apply. If you want to sell more than 40 products each month, then you have to choose this plan. Pro Seller account will cost you $39.99 per month, and some transaction fees on each sale may apply. This option is for manufacturers who want to sell their goods as a wholesaler to Amazon. You don’t have to undergo any hassles to sell your manufactured products on Amazon. They will do everything from product listing to shipping. And they will order more products from you when they run out of stocks. Now, you have an overall idea about different types of seller accounts. So, you might have chosen the right category for you. It is time to complete your account setup. Here is a screenshot of the account setup page. Have a look at the screenshot to get some ideas. After filling in all the information in the account setup page, you have to submit it. And once your account is active, you have to set up your seller profile. Consider your profile on Amazon as a social network profile for your business. This where your customers will get to know your company, products, and user reviews. In this section, you will introduce buyers to your company. Try to tell your buyers how you started your business, add significant information about your company, and share the philosophy of your company. This section is very significant as customers will have a look at the very first glance. The logo of your company must be 120×30 pixels in size to upload on the website. And make sure the image does not contain any URL. In this section, you have to provide some instructions on how customers can return items. You should write every ins and outs. You have already created a successful seller account based on your purpose. Now, it is time to set up your Amazon listing. Creating a new listing is mandatory if you are selling a unique product. To clarify, if any other seller did not list the product you are trying to sell, then it is your responsibility to list that product on the website. When you are ready with the necessary information for your product, you have to log into your Amazon seller account. After logging into your account, you will find Seller Central Dashboard. You will find some categories at the top of the page. From the categories, choose the title that says “Inventory”. After clicking on the title, you will find a menu popping up with an option—which says “Add a Product”. You will find two different choices at the product creation page. You can either select an existing product or make your own. If you have a unique product that is not listed, then you have to select “Create a New Listing”. After selecting “Create a New Listing”, you will find a search box named “Search for your product’s category’. When you are done with typing the name of the category of your product, click on “Find Category”. Afterward, you will be given all possible categories for that particular product. Suppose you will list a bread maker. In this case, the result will show approximately 8 to 15 categories. Pick up the right categories for your product and click on the “Select” button. After that, you will be prompted to a new page to fill up your product listing information. Now you are on a new page which has a menu bar at the beginning of the page. At the menu, you will find seven different tabs. The tabs include Vital Info, Variations, Offer, Images, Description, Keywords, and More Details. After clicking on “Vital Info”, you will find a page which requires some vital information about your product. Fill in all the information and proceed to the next tab. If you have a product that comes in a variety of sizes or colors, you need to clarify it to your prospective buyers here in the “Variations”. For this purpose, you have to open the drop-down menu to choose the type of variation. Once you have chosen the type of variation that fits your product best, you will see more fields to give extra clarification about your product. Your job is to fill in different variations simply. When you have finished filling all the information, click on “Add Variations”. Afterward, your added variations will appear below. Now you have to fill in the variations with appropriate information. In this section, you have to give some information about the condition of your product, price, and fulfillment channel. If it is a new product, select the “New” option in the field of the condition. In the price section, add the exact price of your product. Fulfillment Channel is a field where you have to choose the option of either fulfilling the order yourself or having Amazon to do it for the sake of you. This tab requires you to upload an appropriate image of your product. Never consider the picture of your product as just for use. The image of your prospective product will play a vital role to sell your product well. So, try to upload a benefit-driven image. A benefit-driven image shows the product in use with some texts talking about why this specific product is fantastic. The description tab has two individual sections—Key Product Features and Product Description. The key features of your product will go under the title of the product. So, try to add some significant bullet points regarding the product so that customers can have a clear-cut idea at a glance. And in the product description section, you have to add a somewhat detailed description of the particular product. Avoiding just talking about the salient features of the product, tell your prospective customers how the product can solve their problems. Keyword is one of the most significant things to consider while listing a new product on Amazon. Though no customer will see your keywords, Amazon will prompt prospective buyers to your product with the help of your keywords. So, you can easily imagine how important keywords are. To get the best output from the search engine of Amazon, try to add as many terms as you like on the “Search Terms” box. A potential buyer may want to know profound details about your product. “More Details” is the place where you can add additional information about the particular product. The additional information may include product material, volume, thickness, etc. There is no limitation of adding information here. So, try to add any information which you a prospective buyer would want to know. If you have finished filling in all the necessary information, click on “Save and Finish” to get back to your inventory. If you face problems to save and finish, there might be a specific field which is required to fill in. Now you have successfully listed your desired product on Amazon. So, it’s time to wait for your first sale. Isn’t it amazing to get your first sale within a very short time? But if you want to get your first sale successfully, you need to consider some elements of a great product listing. For your convenience, we have added the elements to this topic. Let’s have a look at the elements! Though selling on Amazon is a great opportunity, it is a juggling act to craft a product listing on Amazon. To place your keywords at the beginning of the search results, you have to optimize your listings with the target keywords properly. Besides, captivating copy and images play a vital role to drive buyers to purchase your product. On the marketplace, buyers generally tend to skim through a specific listing to make up their mind whether they want to purchase the product or not. They don’t want to spend much time to read every page of your listing since there are many products on the marketplace for customers. To help buyers scan the product poignantly, the first five bullet points of every Amazon listing play a vital role. This is why you need to put a greater emphasis on this part. The description part of your product plays the role of a salesman serving at a shop. It has to be highly eye-catching to spark buyers’ curiosity about the item. Besides, it must explain everything about the product so that buyers can trust the product. And your product description should be accurate as well as comprehensive. Moreover, you should never make any false promises about your product to launch your first sale. Now, you have all the information about how to list a new product on Amazon. Try to follow all the instructions step by step to create a great amazon listing.